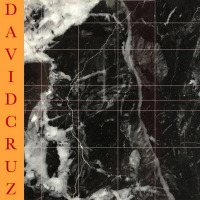 David Cruz is an up and coming Toronto jazz guitarist whose thoughtful playing and musical sensibilities go well beyond his years. David has been performing locally and internationally since 2014 in world class venue’s such as; The Rex, Hugh’s Room, and,The Living Arts Centre. David is both a respected band leader and sideman. In 2014 David began his undergraduate degree at York University. Here he studied privately with Canadian jazz legend, Lorne Lofsky. In school David earned extensive playing experience in both small ensemble and big band settings. David is quite active in the Toronto music community. He gigs regularly, most notably with his own trio and The Avery Cantello Blues Band. In both of these settings David has played alongside some of Canada's top musicians including Kelly Jefferson & Mike Cado. All About Jazz musician pages are maintained by musicians, publicists and trusted members like you. Interested? Tell us why you would like to improve the David Cruz musician page.